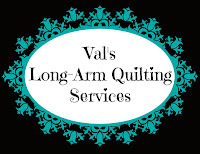 Val's Quilting Studio : Tuesday Archives #183: Valentines Day! This week's theme is: "Valentines Day!" Okay...bear with me. But, my two very favorite holidays are yes, Valentines Day and Thanksgiving. I just love how everyone comes together and are so kind and loving to eachother. Tomorrow we will be having our annual classroom "cupcake" decorating party. The kids love it! 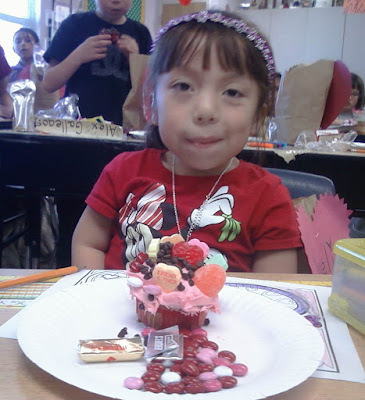 Seriously, look at this little one's cupcake from a few years ago. Her treats are literally falling off the top of her cupcake! So this week, please feel welcome to join me in spreading a little love. Either dig through your archives or create a NEW post this week sharing how you celebrate Valentines Day! Sharing a couple this time, thanks for doing the archive linky!! I just found another quilter and stamper, such fun!! That cupcake is just too cute and very sugar-yummy! Now that's a cupcake! Hope you had a wonderful Valentine's Day.